Put away the rototiller and get more nutritious eggs by allowing your chickens to work in the garden. You’ll park the rototiller in the shed forever if you can employ a small flock of chickens to care for your garden soil. Not only do chickens provide a tremendous nitrogen source to the area, they are champions of turning the soil, eliminating weeds and creating compost in place. 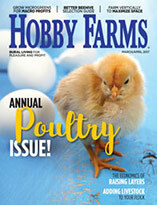 “I would keep chickens even if they didn’t lay eggs because of their working power,” says Justin Rhodes, who shares his homesteading experiences on AbundantPermaculture.com. “I don’t weed I don’t use synthetic fertilizer. 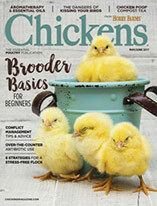 I don’t till.” Chickens handle these tasks for him while providing a valuable fertilizer resource, and here’s how you can, too. Joseph Heckman, a soil specialist for Rutgers University, became interested in the soil impact of chickens when he started keeping them in 2005. He uses chickens on his lawn, as well as keeps a chicken tractor with 30 birds in his hay fields after the hay is cut for the season. Heckman knows this first hand. As the flock of chickens in his hay field is moved down the field, their path is obvious because you can see a green streak of fertile forage appear in their wake. “When I made hay this year, I could tell where the chickens were last year,” he notes. When you think about it, it makes perfect sense to allow the chickens to do what they do best: scratch, dig, peck, eat greens and poop. It’s all a matter of directing this energy. Even though chickens are fantastic little nitrogen producing factories, if the manure isn’t where you need it, it doesn’t do much good. Developing a pasture-based system is the best way to build the organic matter content in your soil, Heckman says, and this can be done with a few birds in a suburban backyard or with full fledged chicken tractors on a small farm. Pasturing chickens in a garden that’s been put to bed for the season allows the birds to clean up any garden debris, turn over the soil and fertilize the area in the process. This in itself is a terrific way to turn the green waste into delicious, and as Heckman points out, far more nutritious eggs. 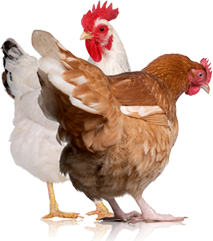 As with using any fresh manure, which can carry listeria, salmonella or E. coli and potentially contaminate edible crops and cause serious health concerns, allow four months (120 days) between moving the chickens out of the garden area and harvesting. This time frame also minimizes the possibility of burning your plants because of too much nitrogen. Rhodes takes his feathered fertilizer machines to another level by allowing them to till organic matter into the soil. In some areas of his garden, he adds 8 inches of wood chips as mulch and a carbon source, which the chickens turn into the soil as they’re scratching around. He uses wood chips because that is what is available to him locally, but he says other gardeners use straw or even leaves. By giving the chickens the opportunity to scratch through the soil, they can also ferret out overwintering pests, thereby reducing the number of insect problems you’ll have next year. Squash bugs are a particular treat, but they’ll often find other delicacies bedded down just below the soil level, as well. After harvesting all of the squash he wants from the patch, Rhodes will turn the chickens loose in the area to bring down the vegetation. The chickens also eat any squash that is left in the garden as the fruits soften throughout the season, and bugs don’t stand a chance. “That’s my thank you for them,” he says. And in the end, the chickens leave a few seeds that grow into new squash plants the next spring. If using chickens to clean up the garden or turn in a deep layer of carbon-rich materials wasn’t genius enough, Rhodes incorporates the chickens in the rotation of cover crops. After planting a cover crop, such as buckwheat, clover or rye, let the chickens into the area to turn the cover crops into the ground instead of firing up the rototiller. The birds follow the cover crop, adding nitrogen to the organic matter. Once the vegetation is consumed and the area is tilled, they can be moved elsewhere. For chicken keepers who can’t rotate their chickens’ pasture and need to keep the flock in one place, Rhodes recommends the deep-litter coop method. This way, farmers or gardeners can harvest the compost at the bottom of the litter pile to add to the garden while the chickens stay put. 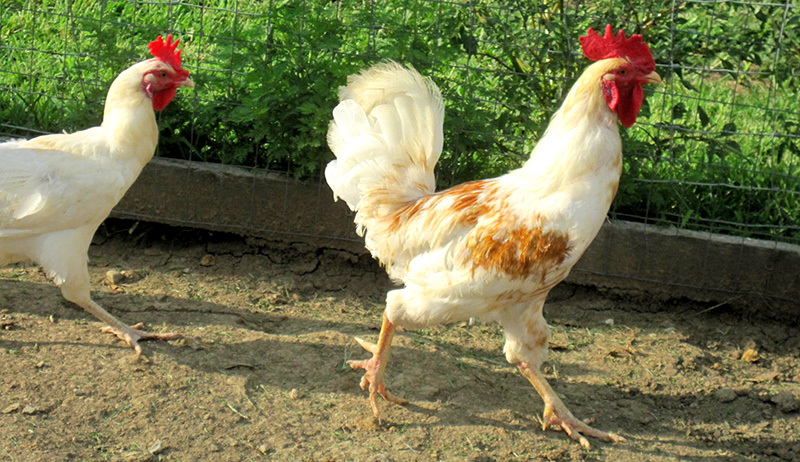 Whether you’re using chickens as a large mobile unit to fertilize and improve the soil structure of fields and pasture or keeping them in place for as long as you need to prepare your garden bed, chickens are an invaluable resource in any small homestead. From fertilizing, tilling and especially pest patrol, they are happy to do the work.